There are casks of rare whiskies lying around at major beverage companies such as Diageo and this presents a great investment opportunity. These whiskies, which were made by distilleries that have since closed, will become even rarer as the golden liquid is bottled and sold. Chris Gan and his partner Victor Foo actually stumbled on the opportunity after a meeting with Diageo in Singapore. “Diageo is one of the largest spirits companies in the world and owns about 50 Scottish distilleries. There are only about 100 distilleries operating there now,” Gan says to illustrate just how much clout and access the company has in the Scottish whisky industry. He had been invited to the Johnnie Walker House in Singapore, which is only for privileged clients to sample and learn about whisky. “Johnnie Walker itself is very important because whisky was originally created for blending. The company brings in different types of whiskies from the different distilleries because each has its own characteristics. The art is in the blending,” says Gan. In fact, he adds, it was only in the 1960s when people started to appreciate what is now known as “single malt” whiskies, which is basically malt whisky from a single distillery. “If it is Talisker and it is single malt, then it has blended together the different whiskies from that particular distillery. “A single cask is very different. It means the whisky is from one particular cask. So, it is of much greater value. 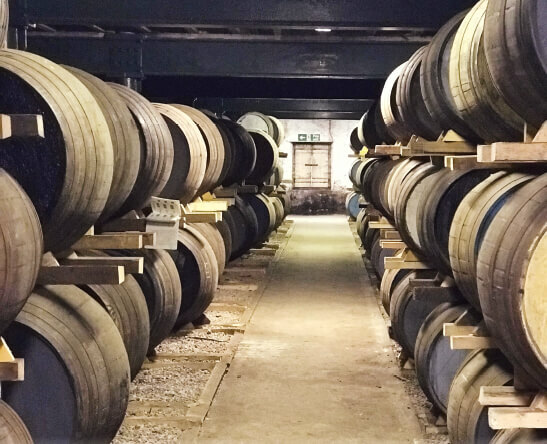 After the visit to the Johnnie Walker House, Gan and Foo came up with the idea of a special Rare Whisky Fund to invest in rare liquids from “silent” distilleries, meaning they are no longer in operation. “The ones we invest in are aged and the casks have been evaluated by the master blender at Diageo, who picked out 1,000 casks and put the best of these into the ‘cask of distinction’ programme,” says Gan, who is also the Singapore Precious Metals Exchange vice-president. If a distillery closes, doesn’t it mean that it couldn’t have been very good to begin with? Gan disagrees. “You must understand the history of whisky in Scotland before you can understand why a distillery is closed. At one point, there were a lot of distilleries in the country. At their peak, there were something like 180 to 200 distilleries because making whisky is not difficult. It is basically just mixing water and barley,” he says. The UK went through a recession in the 1980s and many of the distilleries had to close. “The precursor to Diageo was called DCL (Distillers Co Ltd) and it had many distilleries, most of which produced whiskies for blending. So, they used to trade among themselves. Some of them never sold their whisky using their own brand; the whiskies were mainly for blends. At the time, there was just too much whisky. For our fund, we wanted to buy into casks that were rare,” says Gan. Investor demand for whiskies from silent distilleries has grown tremendously since 2015. The appetite for Japanese whiskies, in particular, has gone through the roof. Brands such as Karuizawa and Yamazaki are silent distilleries. Because the Chinese have taken a liking to them, their prices have surged — some of them by seven times and others by 10 times — within a short period of time. But the two partners wanted to focus on Scottish whisky as Scotland is the home of whisky. “And those distilleries that have closed, they have all been dismantled. There is nothing left, except the casks that are kept at Diageo,” says Gan. He says the experts at Diageo have gone through each cask. It is like trying to pick one in a million. 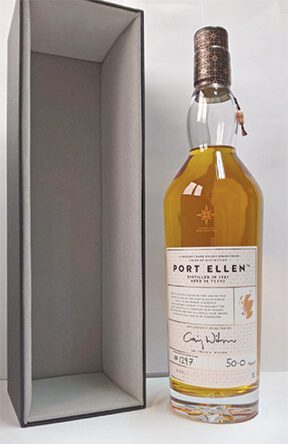 And one of those they have invested in and are now bottling is a 37-year-old Port Ellen. “Some of the 1981 batch was sold to other people for blending and whatever was left in there was used by Diageo in the early days of special releases. As the supply dwindled, they realised that there was only so much left in there and probably only one or two casks that were really, really good. So, they picked one of those,” says Gan. That is the difference between original and independent bottling, says Gan. Original bottling means it is bottled by the distillery itself under its own label while independent bottling means that it is bottled by a blender. The value created by each type of bottling is totally different, he adds. The Rare Whisky Fund was set up as a closed-end private equity-type fund in Singapore. “We have an exemption, provided that we only talk to high-net-worth individuals and accredited investors. The minimum investment is US$250,000, so we are exempt from a lot of regulations. But we cannot advertise and we cannot talk too much about it,” says Gan. The fund has issued an information memorandum. The original private placement was aimed at raising US$5 million. “We did not raise the full amount, but we managed to raise enough to operate. This particular fund is closed-end, so we have closed it and are fully invested. 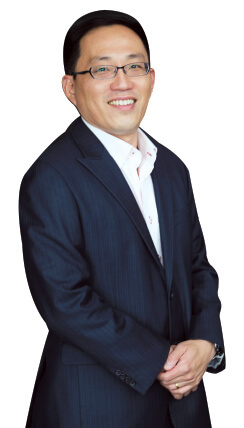 It has a five-year maturity, after which we have another two years to dispose of all the assets and return the money,” says Gan. Are the investors passionate about good quality whisky? “I would say it is half and half. About half the people who have invested in the fund do not drink whisky or even alcohol at all. They have invested solely for the returns. I would say we are looking at returns of close to 20% a year,” he says. Basically, there are several types of investors when it comes to rare whisky, says Gan. “There are the collectors and there are corporate guys like myself who invest through a vehicle. And then you have the connoisseurs, who just want to buy and enjoy the whisky. What if some of the investors want to keep a bottle for themselves? “The fund’s mandate does not allow us to do so,” says Gan. “A lot of people buy casks because there is nothing special about that. You could get two or three people to band together and form a club to buy a cask. “But then what happens? One person wants to bottle it and the other wants to age it for five years. One person wants to keep his share and the other wants to sell his portion. “So, you have all these different things that come into play when you are part of a ‘club’. That is why we would never do it as a club. And what about simple things like how you bottle the whisky? One wants to have a decanter while the other just wants a normal bottle. They have already had a trial run, so to speak, to gauge the value of the liquid they own. “We started the fund in October last year. We only buy into casks, so we have to bottle the whisky first. And after we have done the bottling, we can take the bottles and sell them,” says Gan. There are many ways to sell the bottles, including at auction. “We pulled about 70cl (700ml) from the cask and put it into two bottles. Then, we took them to Bonham’s in Edinburgh, where we auctioned them off. The bottles fetched £9,375 each (including premiums and everything else). The base price was between £5,000 and £6,000. This particular cask that we are bottling has enough liquid for 160 bottles,” says Gan. In Hong Kong, it is mostly the end-consumers who bid for the bottles. “I was at an auction in Hong Kong recently. Wow, it was amazing! The wine auction was a bit blasé. It started at 3pm and things were rather quiet. At 5pm, the whisky auction started and you could see the crowd come in and the bidding became very intense,” says Gan. This is relevant because many of the fund’s investors are from the US. So, they are at an advantage when buying in pound sterling. Gan is very pleased with the fund’s sole investment, but he has his eye on another cask. “Pitty Vaic is not as expensive as Port Ellen, but it also depends on the age and rarity, which are important to customers. That is what they pay for when they go to auctions,” he says.